So I hear you are thinking of proroguing the Provincial Parliament, likely as a prelude to a cabinet shuffle in the hopes of raising your incredibly poor poll numbers. While there has been no shortage of scandals for your government, the reality is the biggest issue facing you is health care. So I hear you are thinking of proroguing the Provincial Parliament, likely as a prelude to a cabinet shuffle in the hopes of raising your incredibly poor poll numbers. While there has been no shortage of scandals for your government, the reality is the biggest issue facing you is health care. If you can fix that, then maybe, just maybe, you can pull out a victory in 2018. What's that you say? If that's the case, stop writing articles about how bad health care is and start offering suggestions instead? Glad you asked! Here's how you can fix health care in seven easy steps. Since I'm limited to 1,000 words or less on my blog post, I will give you four steps this week, and next week, we will go with steps five through seven. Start right from the top (Deputy Minister Bob Bell) and include the rest of the senior management team. There's a real problem with morale in Ontario Health Care. Last year, Ted Ball from Quantum Transformation Technologies did a survey of health care leaders that showed damming results for just how little faith they had in the leadership and direction of the MOHLTC. Between 50 and 70 per cent of responses were in the "Poor to Fair" categories for virtually every single question. In addition, in the comments section there were repeated calls to cut down on the bureaucracy (and this from bureaucrats!). One exasperated person simply extolled "Just do something!" This is abysmal. Since then, a new vision, Patients First, was introduced by Health Minister Eric Hoskins. Quantum did another survey after this, and the results were worse! Amongst other deplorable numbers only 20 per cent of health care leaders have confidence in the MOHLTC to manage the enhanced LHIN's proposed in the document. Additionally, in the comments section, the top adjectives used to describe the managerial/leadership capacity of the MOHLTC were words like "uninspired," "obstructionist," "incompetent," "autocratic" and a plethora of similar negative terms. 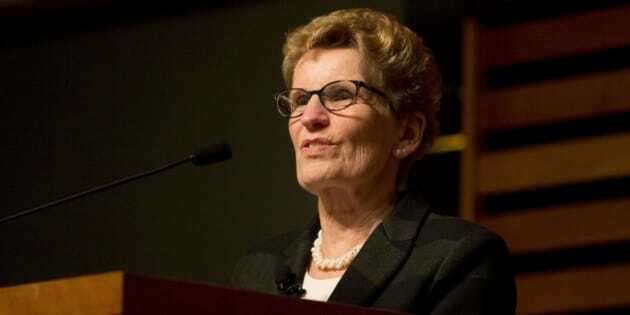 The people of Ontario pay a lot of money through their taxes (in the case of Bob Bell, $426,535 according to the Sunshine List) to ensure health care is run properly. It's not happening. A formal administrative review can give the leaders some good advice as to how to encourage other leaders to follow them. It's sorely needed. Make sure you read all the excellent links. Memorize all the data that's there. Keep those figures at hand, as you will need them when you try to push through the next set of changes you need to make. [In 1995] people realized that in a universal health care system, cutting payments to doctors equals cutting services to patients. They will realize this in 2018 as well. Look, every time you create an "arm's length" agency (e.g. Cancer Care Ontario), that agency has to create an administrative bloat. Things like policy and procedure manuals, human resource departments, various administrative levels and so on. In health care, the problem is that all of these agencies have to report to the MOHLTC (who funds them). The MOHLTC, of course, has a policy and procedure manual, human resource department, administrative levels and so on. What's worse is that the MOHLTC has departments solely dedicated to liaising with all these other external agencies. For example, the Gordian Knot that is the MOHLTC organizational chart, clearly shows that there is an eHealth strategy and investment branch of the MOHLTC. Their job is to liaise with eHealth. So, why not just bring in eHealth into the MOHLTC and get rid of the redundant bureaucracy? Now, I get that politically, the goal was to try and have these agencies take flak when things go wrong, so that bad news won't stick to the health minister. But guess what, it's not working anymore. People won't blame Cancer Care Ontario for the stem cell disaster in the 2018 election. They will blame YOU. So, get rid of the LHIN's, eHealth, Health Quality Ontario, Cancer Care Ontario, CCAC and a whole bunch of others. Bring them all into the MOHLTC so you don't need multiple HR departments and policy manuals. This is why mergers and acquisitions are in vogue in the business world. Go with it. 4) Offer binding arbitration to the doctors. Like it or not, you can't make a fundamental transformation to the health care system without the help of the doctors. Even though I didn't like it much, I understood the political rationale behind trying to shame them into coming back to the table by attacking their billings. Problem is, it didn't work. People believed their doctors, not your political stunt. As an aside, go back to the last time an government cut payments to physicians (Bob Rae's NDP government of 1990-1995). Go dig up their election ads. They all started with "Bob Rae has cut payments to doctors." The thought was to portray to the public that by cutting payments to doctors, there was more money for other services. Sound familiar? See how he did in the 1995 election (hint: it wasn't pretty). People realized that in a universal health care system, cutting payments to doctors equals cutting services to patients. They will realize this in 2018 as well. Giving binding arbitration to physicians puts YOU in a no-lose situation. If the arbitrator sides with physicians, you can say to the public that you have no choice but to go along with it, as it's part of a collective bargaining process. If the arbitrator goes sides with the government, the physicians will have gotten what they asked for, and will have to go along with whatever settlement there is. Either way, you then have physicians re-engaged in the process of transforming health care which is an engagement you badly need.